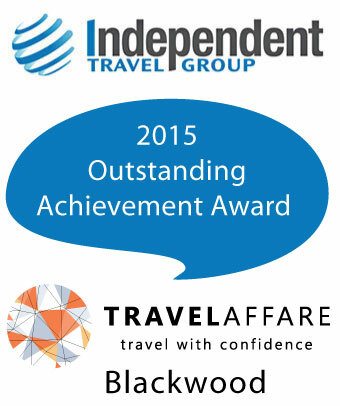 Travelaffare are experts in efficient, hassle-free and best value travel. Whether you are travelling for business or pleasure, we believe it should always be an enjoyable experience and when you book with us, you know you are in the safe hands of a trusted travel agent that is highly regarded, respected and supported by travel suppliers including airlines, wholesalers, hoteliers, ground operators, insurance providers, touring companies, cruise lines, online booking engines e.g. Expedia and the like. We can’t emphasis enough that without a travel agent, you are absolutely on your own. One of our unique attributes is that we are very happy to listen and learn about all the travel research you have done in preparing for your trip. Together we then create a refined travel itinerary exactly to what you would like to achieve within your budget. This is our way of exceeding your expectations. By using our online and offline resources to book travel, we can confidently secure bookings through trusted confirmation methods and payment methods. Because we are an ‘independent’ travel agency, we are not locked into any agreements with airlines, wholesalers, touring companies, cruise companies etc. And YES we have access to the same best deals promoted on TV, radio and in the newspapers. Put simply, we have a great deal more flexibility and can therefore book what is right for you! Our business is built on repeat and referral clients. That’s why it’s so important that we ensure you love coming back to us! Smart Traveller – Helpful travel advice from the Department of Foreign Affairs & Trade (Australian Government). Australian Customs – Travellers Guide from the Department of Immigration & Border Protection (Australian Government). Australian Embassies – Australian Embassy locations around the world. Aussie Travelcover – Get fast travel insurance online. Suresave Travel Insurance – Affordable insurance obtain quote online. Nov 18 2015 - Well Done Girls! On the weekend our office won this prestigious award recognising an outstanding achievement in growth across all facets of Australian and International travel products. The award also recognises our outstanding use of technology to provide a trusted and reputable product for our clients. As a member of The Independent Travel Group and ATAS, a national accreditation scheme, endorsing travel agents who have met strict financial and customer service criteria - Travelaffare is very excited to be a retail travel agency leader in South Australia.